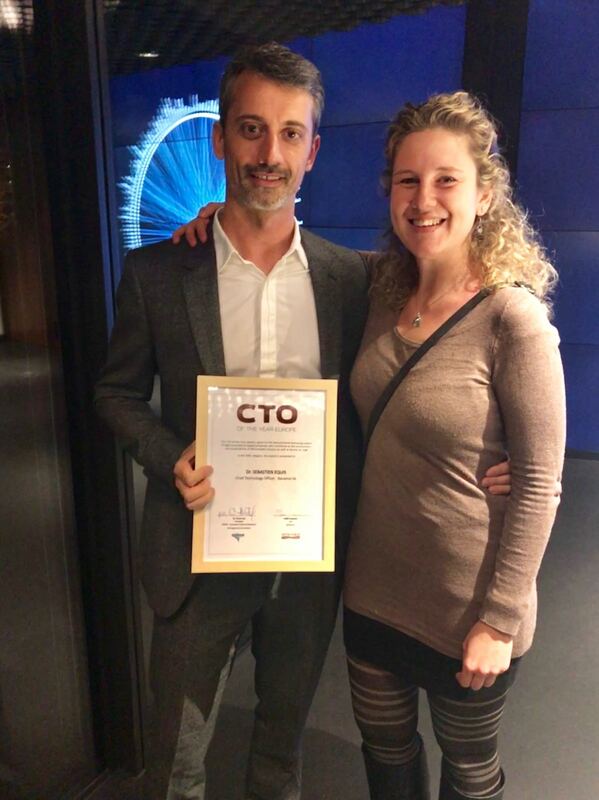 Sebastien Equis, CTO of Nanolive and Eyal Shimoni, CTO of Strauss Group have been awarded with the title European Chief Technology Officer of the Year 2017 in their respective categories: SMEs and large corporations. 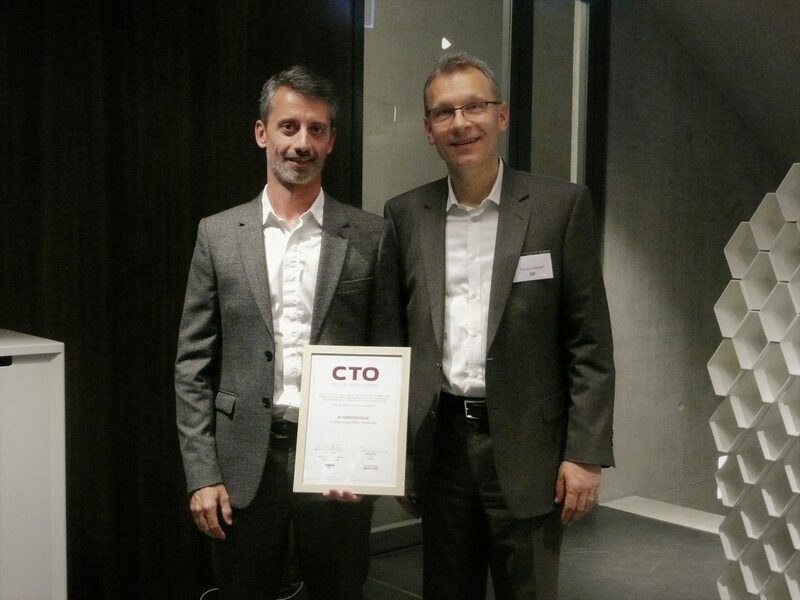 The awards ceremony took place during the CTO Forum 2017 at Empa Academy, Zurich, Switzerland on October 26th, 2017. 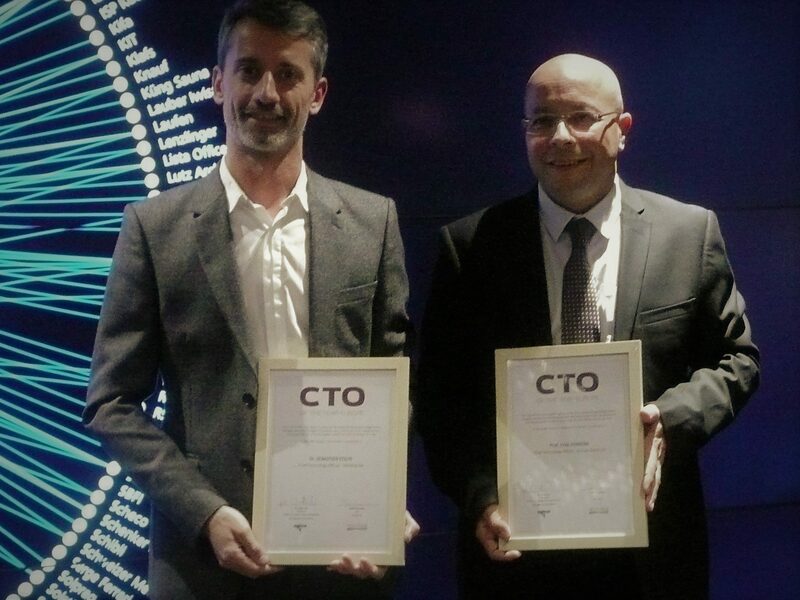 Both awardees serve as prominent role models fuelling growth and strengthening European innovation and technology leadership. Sebastien Equis co-founded Nanolive in 2013 to make it possible to explore a living cell in 3D without damaging it. 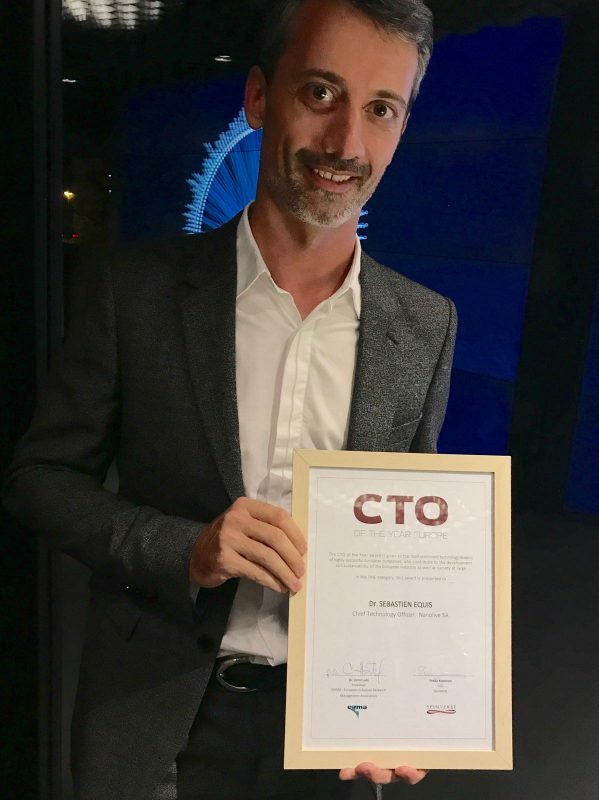 With his passion, drive and vision, Sebastien has enabled Nanolive to bring the disruptive technology to the market, actively engaging both customers as well as suppliers to share their ideas and challenges. Since the cell is the basis of all life on earth, this is a major milestone in the history of microscopy, which may change all the rules in the fields of education, biology, pharmaceutics, cosmetics, labs and industry. Just like a computer tomography for human bodies, Nanolive makes a complete tomography of the living cell. But unlike a CT for human bodies, it does it instantly, in full color and at very low cost: as a result, for the very first-time users can instantly look inside the cell, discover its interior such as nucleus and organelles and “travel” through it in 3D on any screen, as well as compare it quantitatively with accumulated data and processing in the cloud.